Last year the Lord told me that it was going to be a “prosperous” year for His children. I’m His child and I can tell you that I have had a very prosperous year. God has met all my needs spiritually and financially. Spiritually…God is doing a new thing and taking me in new directions and it is incredible! He has given me a new voice, new friends and the best thing…more of Him. A closer walk! Halleluiah!!! The Lord also gave my husband an unexpected raise! I want to thank my God publicly for all He has done in my life!! In 2015 you will need to put on your seat belt for it! It’s going to be a very wild ride. “Breaking news”… will be the word for the day very often. Everything on earth for all its human inhabitants is very unstable and will continue to be so. Many people will be fearful. Many will fear God has abandoned them. Anger will be the feeling of many. Many will turn to drug and alcohol use. Those who have weak minds may lose their mind. This world will groan like a woman in labor like never before. Some of the enemy’s antics will be sudden and swift. In my spirit… I hear lots of crying….but not only crying but wailing. 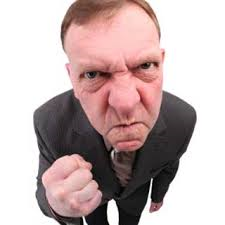 I’m angry and I hate everybody who doesn’t agree with my point of view! Many people will be out of control. There will be a lot of lying and deceitful actions. Human life will mean nothing to those looking for trouble and someone to unleash their evil upon. Evil will infect the human mind like a plague. Those who hate will express that and will not even be aware of what they are doing because evil has blinded them. Sin will be rampant. There is much more but I feel led to stop here. It’s a lot to take in. I usually have positive messages so this is hard for me but I feel this is what I’m led to share with you. If you are a born again believer in Jesus Christ….a Christian….this is what I have to say to you….”FEAR NOT”!!!!!!!!!!!!!!! We have all the fullness of God!!!! Our Father is….”POWERFUL”!!!! 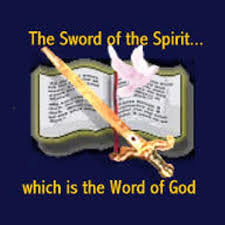 Your weapon is your sword….the word of God! Your weapon for the battle is your prayer life! Your Helper is the Holy Spirit! Your best friend and the one who can unleash incredible answer to your prayers is Jesus Christ! So what is there to fear? Death? Even death is gain…..eternal life with God? Never to suffer or shed tears again? 2015 for my brothers and sister in Christ….I hear this…… “Honor the Lord”…. with your service”. Get your work clothes on and be available for the Lord’s call. If you’re already doing stuff…. keep up the good work. There is a lot of jobs/ministries looking for faithful helpers. Find something and get involved. “Honor the Lord with your service”. God is asking EVERYONE to spread the good news. God is asking everyone to be bold in their faith. Go out on that limb for the Lord. Take care of God’s business and He’ll take care of yours. Give God your time, money and talents. You will be blessed!!!!! We need all of God’s extra blessing and rewards that He will bless us with in this life as we put Him first in all we do. It’s an honor to serve the Lord in any way we can. Whatever your gift or talent is…natural or acquired use it for God’s glory. 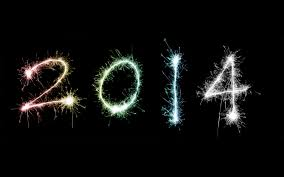 This is what’s going to bring about many blessings for you in 2015. 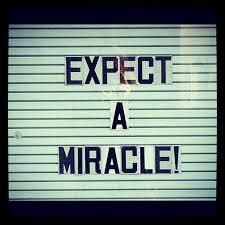 Many of you will see miracles and many get mighty victories. “BELIEVE THE WORD OF GOD”!!!!!!!! I want to first thank you God for all you have done for us this year. As challenging as it has been….we are all still here and alive. Thank you for sustaining us every day. Thank you for your protection and for all the guardian angels you’ve dispatched on our behalf. Thank you for every drop of food we had to put in our mouths. Thank you for water. Thank you for all the things you did for us that we didn’t even notice. Lord….we need you! We can’t do this life without you. You are our only source of help and support. You are our strength. You are our protector and defender. Cover us with your wings Father. Help us to overcome our fears in this frightening world as we put our trust in you alone. Thank you in advance for all the victories in 2015. In these last 2 days of 2014…I ask you to forgive us for anything we have done to displease you. Jesus wash us clean with your blood. Lord we give you all the praise Glory and honor that you deserve! I heard the word…”PROSPEROUS”. ( prosperous meaning – flourishing, favorable, blessed, better state of being, to thrive and to be well) This is going to be a prosperous year for those who are in a good place spiritually with God the Father God the Son and God the Holy Spirit. For those who have repented for wrong doing….for those who have been obedient to the Lord….for those who have love for one another and those who have put God above everything else in their lives. This can be a spiritual blessing or an answer to something you’ve been praying about or a desire of your heart. This can also be a financial blessing or a material blessing……It’s up to God how HE will bless you! Look to be blessed! You should….you are God’s own dear son….Gods own dear daughter! You are His…. adopted into His life REAL family! God loves you so much!!!! This year you will feel God’s love in a powerful way. Look for this…Look for God. Seek Him out…spend a whole lot of time worshiping and adoring Him. 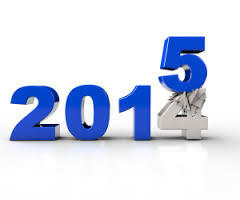 This is the year of having….”God in you” like never before. We need more of Him! This is the year of keeping this in focus…. that God is the ONLY first love in your life and that He is the ONLY one who you put first before all things in your life. This is the year to remind yourself daily that Jesus as the King of Kings and Lord of Lords. Let Jesus sit on the throne in your heart and in your mind. This is the year of remembering that the HOLY SPIRIT…the third person of the Godhead lives in you and you must submit to His perfect guidance and wisdom in your life…..that you give up the control of your flesh and give it over to the Holy Spirit. Do what He says do! All of these things God ask us to do in His word and we all struggle to obey everything the bible commands us to do….but I tell you….God knows when you are making an effort to please Him and He will reward you openly and reward you in heaven and here on earth too. Before this year 2014 that’s coming up… you can begin to make a new commitment right now….to seek after God with everything within you. Deuteronomy 4:29 But from there you will search again for the LORD your God. And if you search for him with all your heart and soul, you will find him. Don’t go by how you feel (emotions) or what your physical or financial situation is. We will always be going through something! Do this because you love God and it is well with your soul. Do it because you know what the bible says about God and what He expects from you… His dear children. Do it because of who God is! This is the year of God blessing us to have a “prosperous” year. Let’s not be afraid of this word…but understand what the bible teachers about being prosperous. God can prosper us according to His desire for us at for a given season and in His divine wisdom to do so. You will feel Gods loving arms around you like you’ve never experienced before because you’ve really trusted in Him and had faith like never before. It’s a spiritual feeling that you will be able to experience because of the Holy Spirit in you and He CAN connect you with God in this unique way. God does and will….reach out and touch you!!! Let Him…trust Him. If you’ve never experienced God like this…put aside any fear or doubt and just look for Him. When you need Him….He will be there!! He will!!!!! You know what? You need this…your spirit man ( soul) needs this. This is the time to reach out for your God…your Father!!! 3 John 1:2-3 Dear friend, I pray that you may enjoy good health and that all may go well with you, even as your soul is getting along well. It gave me great joy when some believers came and testified about your faithfulness to the truth, telling how you continue to walk in it. I have no greater joy than to hear that my children are walking in the truth. Message for today: Don’t fear the New Year! You have Jesus! This is a new season. It’s a season that can produce much fear in people. Satan has and always will try to scare us silly and he is surely trying to do this now…but things have shifted to a new level. When my kids were young…I taught them that there is always a way out of a situation….and to look for it. I taught them to keep a cool head, think and look for the open door. I told them how to keep away from trouble. I prayed that they would be safe. They are adults now and I thank God for that…but what I want to say to you today is that God is a much better parent than me and He taught us things that will help us too. I feel that 2013 will have many challenges….but….doors will open….windows will open….paths will be illuminated…croaked places will be made straight. Look for these. The righteous will receive help….grace will be amazing. Guardian angels will be busy keeping us safe. God’s mercy will shine on His children. What will happen in your personal life? What does the future hold? Will you suffer… your family? Will you lose your job? Will you lose your house? You know the answer to this….That only God knows the details…and we know that out of 365 days this year that there is bound to be a few complications. God will be right there so don’t worry! 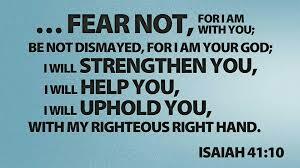 Today the big thing I feel the Lord wants me to share is……FEAR NOT!!!!!!!!!!!!!!!!!!!!!!!!!!!!!!!!!!!!!! There is POWER IN THE NAME OF JESUS!!!!!!! REAL POWER!!!!!!! We just celebrated the birth of Jesus Christ…He came not just to give us eternal life… but in doing so He enabled the Holy Spirit to indwell in us for comfort, guidance, instruction and correction. We can also pray in His name and receive answers to our prayers when we need help. How awesome is that! Why should we be scared about what the future (2013) holds? Why should we live in constant fear of stuff happening? Fear will make you mentally sick!! Fear will cause damage to you physical body! Fear will cause you to doubt in God’s great abilities to take care of you! Fear will decrease your faith! Will you do something for me that I feel to tell you right now?…..Take your Holy Bible and put it close to you heart and hug it really tight….now close your eyes….and pray this prayer with me……. Lord…please give me the strength, willpower and discipline to commit to read and study my bible…your word more this year. Help me understand your word by the power of the Holy Spirit. Help me to remember your word as I meditate on it. I know I need to do this if I’m to survive this new normal and find help in the midst of any troubles that might come my way. I thank you in advance for the victories and I thank you for your grace. You’ve done so much for me in the past and I know you will be there in 2013. I ask this in Jesus name amen. 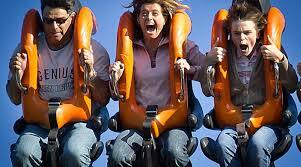 Message for today: FEAR NOT!!!!!!!!!!!!!!!!!!!!!!!!!!!!!!!!!!!!!!!!!!!!!!!!!!!!!!!!!!!!!!!!! Psalms 27: The Lord is my light and my salvation whom shall I fear? The Lord is the stronghold of my life of whom shall I be afraid?